In the United States, The Substance Abuse and Mental Health Services Administration conducts a study to assess drug trends in the country. The most recent National Survey of Drug Use and Health is from 2016 and found that an estimated 30 million Americans used illicit recreational drugs in the past year. These numbers are solely from people who reported their use on the study, this means that results are lower than the actual. Substance abuse in a nationwide issue with some states seeing more abuse than others. Drug trends fluctuate all the time. However, the types of drugs people are using have remained consistent over time. Going into 2018, these are the top 15 most used and misused drugs in the U.S. Approximately 30 percent of all driving fatalities are alcohol-related. More than 15 million American meet the criteria for alcohol use disorder, even though only 7 percent get help for it. Out of all the drugs on this list, alcohol is the most worrisome because it is legal and easy to access. Alcohol misuse the 3rd highest cause of death in this country. Prolonged heavy alcohol use can do a lot of damage to the body, especially to the liver because that is where the alcohol is metabolized. Alcohol abuse can lead to inflammation of the liver, called cirrhosis. Marijuana is not only a hot topic in legal debates, it is the number 1 most popular illicit recreational drug in this country. Marijuana is slowly starting to become legal in some capacity. 30 states have legalized medicinal cannabis, and 9 more have legalized cannabis for recreational use. A lot of research has been done, but much more needs to follow. We have an idea of how cannabis affects the body and how it can help with certain illnesses, but we are still fuzzy on the long-term effects. Studies indicate that marijuana use before the age of 18 may affect the brain’s development. As far as illicit recreational drugs go, cocaine holds the position as both second most popular and second in the # of lives claimed by the drug. In the 1980’s, crack cocaine took over thousands of lives bringing down whole cities in the process. Cocaine and crack cocaine are similar, but crack cocaine is usually cooked with additives to produce a cheaper product that can be smoked instead of snorted. Cocaine is a stimulant that comes from the coca plant found in South America. Stimulants do exactly what the name suggests; they stimulate and elevate. Cocaine binds to receptors that cause the release of Dopamine; an important Neurotransmitter that takes reign in the reward center of the brain. The effects of cocaine produce temporary feelings of extreme happiness, alertness, increased energy, irritability, and in most cases, paranoia. Emergency rooms have been witnessing more coke overdoses in the last few years due to an influx of opiate-laced cocaine invading the country. Unsuspecting people are purchasing cocaine that is laced with products such as Heroin or Fentanyl. This is especially dangerous for people who only occasionally take recreational drugs. In 2016, over 10,000 people died from a cocaine-related death. Heroin is an opioid drug synthesized from morphine. It is highly addictive and very deadly. Thousands of people have died from and heroin-related drug death. In high doses, the drug produces a euphoric effect. However, a tolerance to the drug can be built up, which cause people to use more Heroin in one sitting and increasing the chance of overdose. Heroin effects areas of the brain that control breathing and heart rate, the creates the risk of cardiac and/or respiratory arrest. Fentanyl is a synthetic opioid responsible for over half of the overdose deaths in the country. It is leading the way in the Opioid Crisis plaguing the nation city by city. Fentanyl is a schedule II-controlled substance used as a painkiller for people with a tolerance for less strong opioids. This drug is up to 100 times stronger than morphine and just as addictive as heroin, if not more. Fentanyl is a synthetic opioid that binds to opioid receptors in the body to reduce pain. It produces an increase in dopamine levels, affecting the brain’s reward center. More problematic, Fentanyl also affects the area of the brain that controls our unconscious processes such as breathing, heart rate, and blood pressure. Opiates, such as Fentanyl, are responsible for at least 100 deaths per day around the country. 3,4-Metheylenedioxymethamphetamine (MDMA), also known as Ecstasy or Molly, is most popular for being a “club drug”. Ecstasy acts as both a hallucinogen and a stimulant. Users experience altered feelings and perceptions while also feeling more alert, happy, and often more sexually aroused. MDMA increases the productivity of Dopamine, Norepinephrine, and Serotonin. Dopamine is responsible for the alertness and energy, Norepinephrine is responsible for the increase in heart rate, breathing, and blood pressure, and serotonin is responsible for the elevation of mood, increased sexual arousal, and decrease in appetite and sleep. The effects of Ecstasy usually last between 3 and 6 hours and people often report feelings of depression when coming down from the drug after a surge of extra serotonin. Methamphetamine, or Meth, is a fast-acting stimulant that is usually either snorted, smoked, injected, or swallowed in pill form. Taking Meth produces and feeling of euphoria due to the surge of dopamine in the brain. Meth does no last very long which cause users to binge the drug by using in every few hours and forgoing food and sleep for the duration of the binge. Short-term effects of Meth include, lack of sleep and appetite, irregular heartbeat, increased blood pressure, increased energy, and often paranoia. More than 1.2 million people admitted to using meth in 2013, and over 12.2 million reported non-medical use at least once in their lifetime. Vicodin is a popular prescription opioid painkiller consisting of acetaminophen and hydrocodone. It is the most prescribed pain killer in this country approximately 135 million prescriptions each year. In 2014, Vicodin was changed from a schedule III-controlled substance to a Schedule II controlled substance due to the increase of reported abuse. Side effects of Vicodin include decreased breathing rate, nausea, fainting, and drowsiness. Inhalants are not popular everywhere or by everyone, but the are popular enough to be on the radar of the Center of Disease and Control and other drug-related programs and organizations. Inhalant involving inhaling the fumes of various types of household products such as gases, aerosol sprays, glues, cleaning fluid, markers, etc., for the psychoactive effects. Inhaling these fumes causes temporary dizziness, euphoria, impaired coordination, and slurred speech. Long term use has the potential to cause damage to vital internal organs such as the live and kidneys. It can also cause hearing loss and damage to bone marrow. Inhalants are a problem mainly because they are predominately used by kids and teenagers. Adderall is a commonly prescribed drug used to treat Attention Deficit Hyperactive Disorder (ADHD), which is the most common childhood neurological condition in the US. At least 6 million children have been diagnosed with ADD or ADHD, and more than 50 million prescriptions for Adderall have been written. With more than 50 million prescriptions written each year, Xanax is the most used Benzodiazepine in America. This addictive depressant is used to treat anxiety, when taken as prescribed. At higher doses, Xanax can cause major impairment. One of the biggest reasons that Xanax is so popular, beside being cheap to manufacture, is the fact that it is fast-acting. Xanax takes full effect within 60 to 90 minutes after ingestion. In the past few years, hospitals have been seeing more and more people for symptoms of Xanax overdose. Like alcohol, Xanax is a depressant, which means it slows down brain function and lowers inhibitions in the process. Anxiety causes the body’s unconscious processes to speed up. Heart rate, blood pressure, and breathing rate all increase during times of anxiety. Xanax affects the control centers in the brain and slows these processes back down to normal levels. Effects of long term misuse of Xanax and other Benzodiazepines include seizures, insomnia, slowed speech, impaired coordinated, and death. Dimethyltryptamine, or DMT, is a popular drug that is having higher rates of first time users. DMT is a psychoactive compound found in ayahuasca and when ingested, produces and extreme hallucinogenic experience that caused many people to recount seeing deities and alien lifeforms from other world. These intense “trips” have not shown to be particularly life-threatening. People that have used DMT do not generally use the drug often. For most, it is a one time or occasional use. Methadone is a synthetic opioid painkiller used to treat heroin, or painkiller addiction. The doses are controlled by a doctor to safe ween the person off drugs. 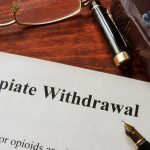 Unfortunately, many patients have formed and addiction to the methadone and find ways to slip through the cracks and get more than the allotted doses. More than 3,500 have died from a Methadone overdose. Methadone is primarily used because it is cheap and long-lasting. Lysergic acid diethylamide, LSD, or acid is a hallucinogenic drug that hit its peak in the 1970’s and 1980’s. The hallucinogen alters Serotonin levels as well as perception and mood. In 2013, 10 percent of American admitted to using LSD at some point in their lifetime. Long-term use of LSD has been known the cause delusions, anxiety, paranoia, and panic attacks.